Q: "I own many interesting YouTube videos and have tried to import them into iMovie for editing but unfortunately they are all grayed out. Anyone who knows any way to import YouTube videos to iMovie? Could you be so kind to let me know? I just want to edit those YouTube videos with iMovie for sharing with my friends. I have iMovie 11. Thanks in advance." Ever met this problem before? Importing YouTube video into iMovie but without success? Actually that's because most YouTube videos are normally in FLV format, which are not supported by Apple's iMovie. But that doesn't mean there is no way to import YouTube videos to iMovie to edit. Here the following article will introduce you two easy ways to import and download YouTube videos to iMovie 11 for editing. Step 1. Add YouTube videos to the application. You can import YouTube videos to Any Video Converter Ultimate by clicking "Add Video/DVD" button or simply dragging & dropping them into the program. Step 2. 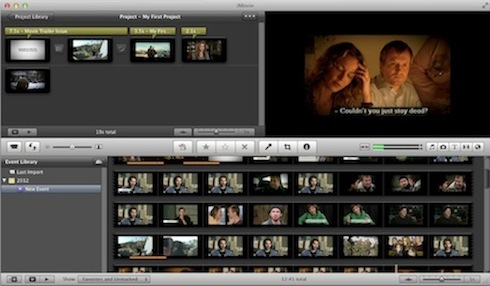 Set output format as iMovie video. Browsing the Profile drop-down list, you can see Apple Software Specific Formats. Click it and choose Apple iMovie MPEG-4 Video as output format. Step 3. Start converting YouTube video to iMovie. 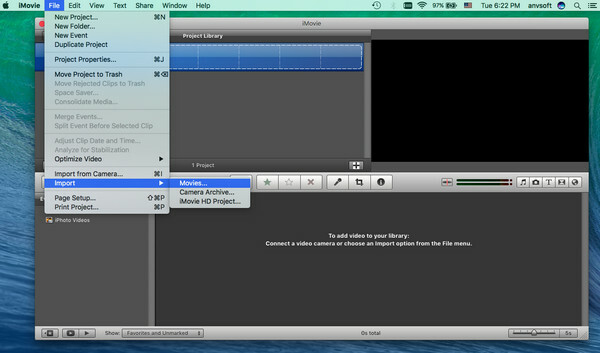 You can begin to convert YouTube videos to iMovie by hitting "Convert Now" button on the right bottom of the program. Step 4. Import YouTube video into iMovie 11. Launch iMovie, from the File menu, choose Import > movies, navigate to the folder where the output YouTube videos are saved. Select the files and click "Import". If you haven't downloaded YouTube video yet but want to download it and convert to iMovie, you can also refer to Any Video Converter Ultimate for Mac. But if you only need to download YouTube video, you are suggested to use Free Video Converter for Mac. Step 1. Add the URL of YouTube video. Open your browser and find the URL of YouTube video you want to download. Click Add button to copy & paste the URL into the window. Step 2. Download the YouTube video. Hit Start button to start to download the video from YouTube. Step 3. Convert the downloaded YouTube video to iMovie. After the downloading is completed, you can add the video to Any Video Converter Ultimate to convert by clicking "Add to Convert List" button. Step 4. 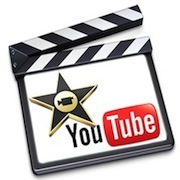 Now you can simply refer to the tutorial above to convert YouTube video to iMovie 11 format. Tips: Or you can simply watch the video tutorial of How to Download and Convert YouTube to iPad for your reference. So you see, it's easy to get your YouTube videos to iMovie for editing. What you are waiting for? 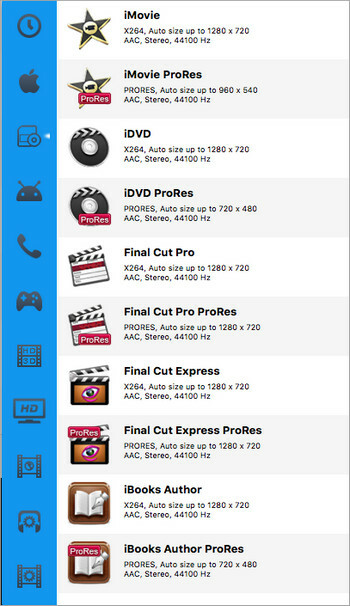 Just download Any Video Converter Ultimate for Mac to make your own masterpiece! Syncios iPhone/iPad/iPod Manager for Mac is a free iTunes alternative, which can easily manage iPhone, iPad and iPod without iTunes and transfer music, videos, photos, apps, ebooks, contacts, messages and more between iOS devices and Windows PC. Download Free Syncios iPhone/iPad/iPod Manager for Mac to have a try! Both Windows version and Mac version are available! 2. 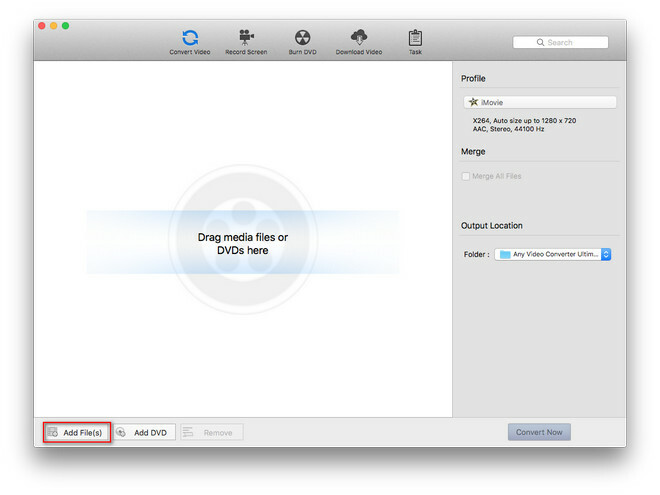 How to Import iTunes M4V Videos to iMovie for Editing? You may know that you cannot directly import iTunes videos to iMovie for editing and clipping, for the iTunes M4V videos are DRM protected. To edit and clip iTunes videos in iMovie, you should remove iTunes DRM and convert the M4V videos to iMovie supported plain video formats like MP4. NoteBurner M4V Converter Plus (For Mac & For Windows) is a professional and powerful M4V Video Converter. 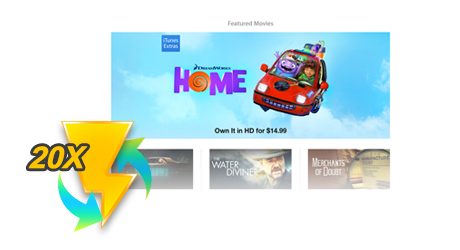 It can remove DRM from iTunes purchased and rented videos at 20X faster speed and convert m4v videos not only to tons of formats like MP4, MOV, AVI, WMV, MP3, AAC, ect. 3. How to Keep Apple Music Files Offline on iPhone/iPod? We all know that you can only listen the Apple Music files during subscription. To enjoy Apple Music files on iPad/iPhone without restriction, you should remove DRM from Apple Music files and convert them to plain MP3, AAC or WAV fromats. 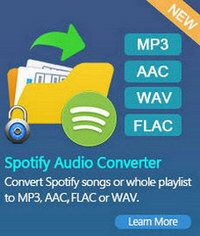 iTunes DRM Audio Converter can help you convert Apple Music files to plain MP3/AAC/WAV formats. 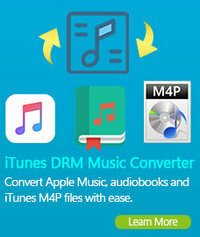 Besides, it can also convert DRM-ed audiobooks and M4P music to DRM-free MP3.